The jeepney is a part of Philippine road culture. And while coming up with a vehicle made up of scrap parts may seem like a moment of ingenuity for Filipinos, it’s now facing some challenges thanks to stricter safety and emissions regulations. With the Jeepney Modernization Program moving forward, the Department of Transportation seeks to ban all jeepneys 15 years and older from plying the streets. Could this spell the end for the jeepney? 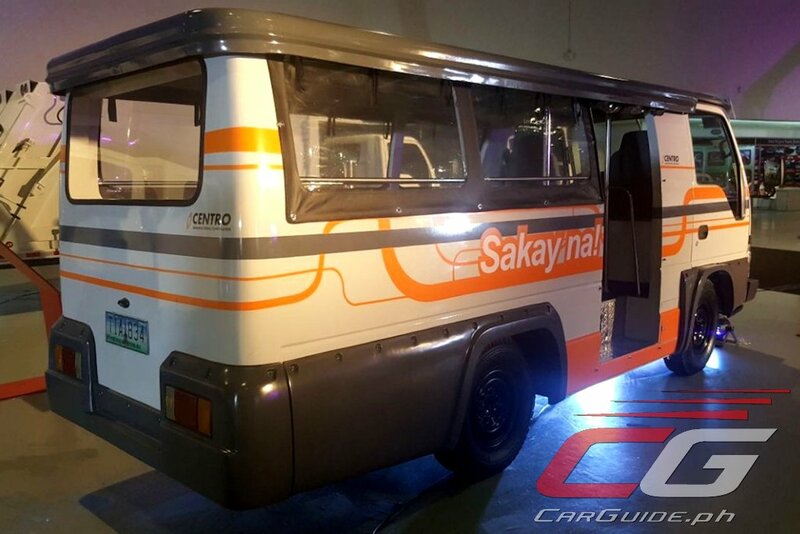 With e-jeepneys still not a realistic option, Centro Manufacturing Corporation has come up with a modern interpretation of the jeepney, but this time powered by a traditional diesel engine. 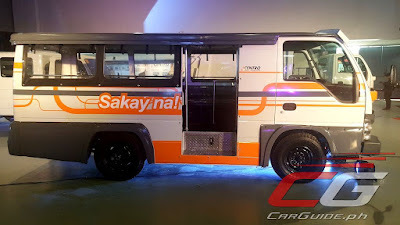 Based on the Isuzu NHR light-truck platform, Centro Manufacturing’s modern jeepney prototype can seat a maximum of 17 passengers (it can be lengthened to accommodate 23 passengers) and is powered by a 2.8-liter diesel engine. Though it still has the traditional jeepney’s perimeter-style seating, Centro’s version has its entrance on the passenger’s side for safer ingress/egress. It also has doors on both sides of the front cab, something rarely seen in traditional jeepneys. Centro Senior Sales Manager Vic Belisario said that Centro chose the Isuzu NHR light truck platform because it is already tried and tested for Philippine roads in terms of endurance and durability. In fact, it’s the very same chassis that Centro uses to create the Isuzu iVan, the country’s first microbus conversion which first came out in 2011. “It makes sense that the jeepney will be powered and produced by Isuzu since the majority of the jeepneys around the country now use Isuzu engines”, says Hiroto Nakaguro, head of Sales Department of Isuzu Philippines Corporation. “Since Isuzu is popular among transport operators and drivers, they are confident with Isuzu as a brand. They know that if it is Isuzu, then it is meant to be a workhorse –heavy duty and reliable”. 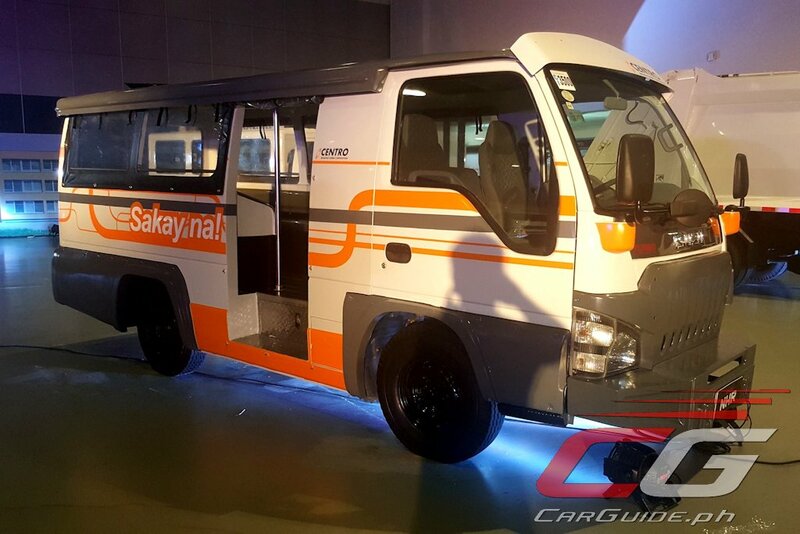 Since it’s brand-new, the Isuzu-Centro jeepney carries with it not just a robust warranty and after-sales support, but it can also be financed through banks. The Isuzu-Centro jeepney prototype is currently on display at the 2017 Isuzu Truck Fest at the SMX Convention Center, SM Mall of Asia Complex, Pasay City until April 23, 2017. I agree. Driver's discipline is the key to solving traffic in the Metro and also strict road law enforcement. In terms of the Public Transport in the Philippines. Why diesel when almost every other country is moving away from diesel for public transport, even private cars/SV's, and towards electric, using clean renewables such as solar, a source plentiful here in the Philippines. Put solar panels on terminus roofs for charging. I don't know, because every country in Europe is still very much embracing diesel because we have cleaner diesel nowadays. Plus, the energy that we get from solar power is still very much insufficient (not to mention expensive) for everyday use in the highway. Also, solar panels are heavy. As for electric, the price of electricity here in the Philippines is even higher than developed countries. Get off your high horse. Producing batteries is more environmentally destructive. Electric is not the future of transport because of long charge times, limited range, and finite battery life. Tell us how you would be disposing of spent batteries. Great design as far as safety concerns the door entrance on the side rather than on the rear. Good job! Well 1 step at a time ika nga. Pero dapat naman ayusin yung design. Huwag naman yung kumuha ng ELF dyan tapos tinapal yung design para magmukhang jeepney style, and pinoy is proven to be a designer. At saka dapat hanggat maari EURO4 compliance na ang diesel engine na ilalagay. Opinion lang po. Looks like it has a shorter wheelbase than the current jeepneys. Plus the design could be better. Bakit ba ang tamad mag-isip ng medyo innovative na designs ang gumagawa ng mga ganyan dito sa Pinas? Isuzu Elf as jeepneys have been around for years in Cebu. Surplus Elf units nga lang. No choice yata pagdating sa design kaya ganyan yan kasi yung motor nasa ilalim ng driver. Kung gawin nilang pares sa design ng jeepney ngayon na may modern look, lalong liliit yan. Saka dapat itigil na nilang tawaging jeepney kung ganyan ang design, mukha namang mini bus na kahit saang anggulo mo tignan. Mag-isip na lang ng bagong pangalan. if we are talking about buses so this it.. the design. but are talking jeepney ..lol, ampangit nito di to jeep..
ANG PANGIT NG BODY DESIGN EWAN PAANO NAGING MODERN YAN? PARA NGA TAYO UMATRAS NG ISANG DAANG TAON SA HITSURA NYAN. PARANG PINAGA TAGPITAGPING LATA LANG AT LINAGYAN NG GULONG, PINTO BINTANA AT UPUAN. NA WALA YUN SENSE OF ARTS NG MGA PILIPINO. WALA NA BANG DYAN? Must have a rear emergency exit door.